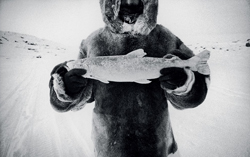 David J. Carol is a photographer, writer, curator, editor, teacher, lecturer and publisher. He attended the School of Visual Arts and The New School for Social Research where he studied under Lisette Model. He was the first assignment photographer for The Image Bank photo agency (now part of Getty Images) at the age of 26. He recently retired after 25+ years as the Director of Photography at Outfront Media (formerly CBS Outdoor) to become the Editor-in-Chief of Peanut Press Books. He loves giving photographers a platform to share and discuss their work with the photographic community. He is able to do this as a contributing writer to Rangefinder Magazine and PDN as well as doing portfolio reviews at such varied venues as The Palm Springs Photo Festival, PhotoPlus Expo in NYC, ASMP Fine Art, APA, Filter Photo Festival in Chicago, Slow Exposures Festival in Georgia, The Center for Fine Art Photography in Colorado and The Savannah College of Art and Design. David is the author of four monographs, 40 Miles of Bad Road..., ALL MY LIES ARE TRUE..., "THIS IS WHY WE CAN'T HAVE NICE THINGS!" and his latest book, NO PLAN B. He also completed a trilogy of books, "Where's the Monkey? ", "Here's the Deal!" and "All My Pictures Look the Same." with Cafe Royal Books, London. David's other work experiences include editing and sequencing photo books, curating photo shows, and being a judge for contests at multiple magazines and universities, including the prestigious PDN Photo Annual since 2003. He has also given lectures/workshops on his own work and photography in general at SCAD, SVA, ASMP, photo-eye gallery, The Center for Alternative Photography: Penumbra Foundation, Out of Chicago Festival, PhotoPlus Expo, Filter Photo Festival, SlowExposure Festival and The Center for Fine Art Photography to mention a few.